Flowering clematis, originally uploaded by djsmiley2k. 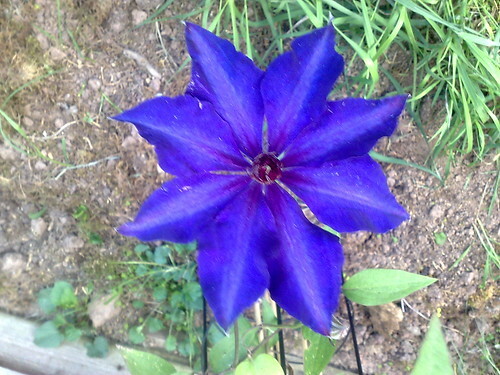 This is the first year we've had the clematis and its come out with 3 or 4 of these beautiful flowers. Amazingly matching the other blues/purples we have already in our garden.